The popularity of plant-based milk alternatives is booming and the dairy industry is feeling the squeeze. The popularity of plant-based milk alternatives is booming with more people than ever before opting for dairy-free milks over cows milk. 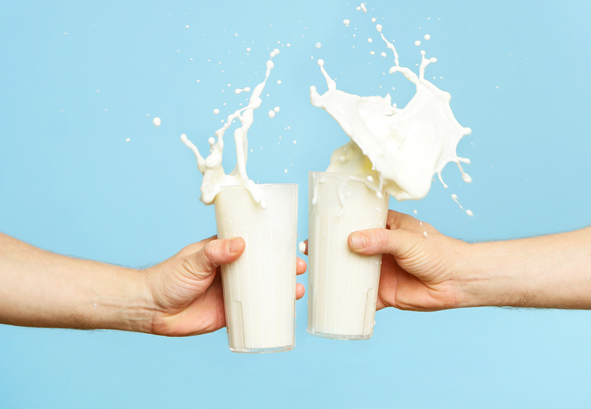 In fact, the demand for nut, soy and oat milk has increased so significantly that the Dairy Farmers of America (DFA) claims sales of milk fell by approximately $1.1 billion last year, with net sales totalling $13.6 billion, compared to 2017’s $14.7 billion. The DFA’s President and CEO, Rick Smith, has called 2018 a “challenging” year for dairy farmers thanks to soaring demand for dairy-free products coupled with falling cows milk prices. In 2017, the market value for dairy alternatives was estimated at $11.9 billion, and experts predict that by 2024 the value could rise to over $34 billion, leaving farmers feeling the pressure. In the UK, plant-based milk sales rose by 30% between 2015 and 2017 and are still rapidly increasing. Sales of plant-based milk hit £367 million in 2017, and figures continue to rise. Almond milk is the most popular choice, making up two of every three pints of plant-based milk sold. Many researchers are looking into the reasons for this market shift. In June, a study by the Food Ethics Council found that 46% of consumers aged between 16 and 24 years old believe that the current food system is unfair to the planet. This suggests that younger consumers are leading this movement away from dairy milk out of concern for the environment. Furthermore, recent research by Ripple found that the production of dairy milk (via dairy cows) produces four times more carbon dioxide than the production of vegan milk. A survey by the Plant Based Foods Association found that 78% of dairy drinkers still thought of plant-based milk as milk, too. These statistics suggest that an increasing amount of people simply see plant-based milk as an easier option and a nice change from dairy.